Which Artiste Would You Take Out Of Your Playlist? I think this ‘simi’ is a better artist than all other female artists we have in town now, whom have gained opportunity in the music industry. We wey no get girlfriend wetin we go do. ????? 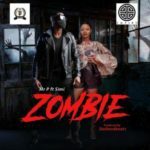 simi babe u day bust my head…feeling this song!!! Too love you Simi talent at its peak ? Your simply amazing, your simplicity is outstanding ?? She ya jeez three much??? you kill it Simi… repeat mood… can’t just get over it. Always on point.. Simply amazing.. Still on repeat HipyHop Hurray!! 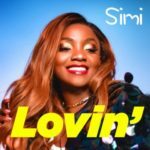 wat a luvly song dis anoda gbedu wey dey burst brain..
Simi is jst soooooo bae!!! My elder sis I love your music love you keep it up????? ??? . Listening ? to ? music ?? Simisola is FIRE! Take it to the bank!!! 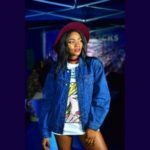 I’m so proud of u simi…u never dissapoint. Clearly the best jam of the year. Best jam of the year. 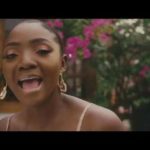 No comparism, Simi is on the high way while other female artists are on the side walk. The talent embodiment is not of this side. Mad jam..best jam. Just come and take all the awards. 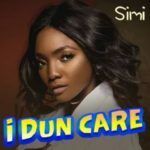 Simi you kill this song nice one i give you the best 10/10 for female singers from sincere innocent. This song is soul touching,, ?? Simplysimi always d best.... Muah? Simplysimi always d best…muah ?? as I dey listing to this ur jam Ehnnn! to eat sev nor dey my mind this one nah bellerful!!! I can neither sing nor dance…. But i can tell if a song is good or not when i listen to it. This is a great song! Mad jam ……..I love dz??? The music got me going so so crazy?